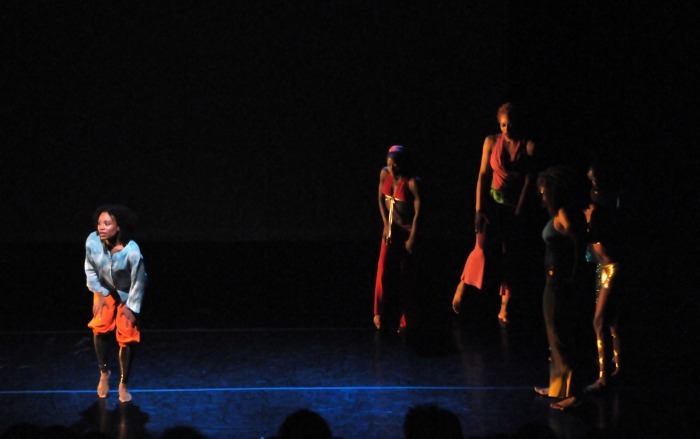 Cynthia Oliver/COCo Dance Theatre takes calypso in and out of the carnival context and layers it with mythology, herstory and dance. It explores music as an agent of Afro-Caribbean cultural, sexual, and gender identity across geographic, national, and aesthetic borders. Be prepared for truth-telling, innuendo, and rawness! Caryn Hodge & Nehassaiu deGannes in "Windrush"
Pack Up Pack Up/ deGannes & Co.
A'Keitha Carey, Nehassaiu deGannes, Ithalia Forel, Lisa Green, Caryn Hodge, and Rosamond King make up the multinational cast from Canada, England, the Bahamas, the Virgin Islands, Trinidad, and Jamaica. Music and sound design by Jason Finkelman, video by Marcus Behrens, and lighting design by Mandy Ringger. In “Rigidigidim De Bamba De: Ruptured Calypso,” which ended Saturday at Danspace Project, Cynthia Oliver delves into the riotously beautiful art of winding, a powerful, erotically charged rhythmic dance named for its sinuous, circular pelvic motion. ––her six chosen interpreters — all Caribbean women— offer tantalizing windows into winding’s shadings, its means and methods.